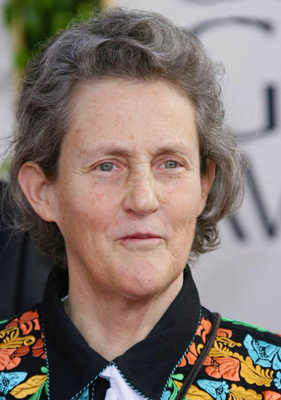 Temple Grandin, Professor of Animal Science at Colorado State University, is one of the world’s most accomplished and well known adults with autism. In 2010, she was named one of Time Magazine’s 100 most influential People of the Year. She lectures to parents and teachers throughout the U.S. on her experiences with autism. Dr. Grandin is the author of four books, including the national bestsellers Thinking in Pictures and Animals in Translation. Her most recent book is The Way I See It: A Personal Look at Autism and Asperger’s. The 2010 HBO movie based on her life, starring Claire Danes, received seven Emmy Awards. She has appeared on 20/20, 48 Hours, CNN Larry King Live, PrimeTime Live, the Today Show, and many others. She has been featured in New York Times, U.S. News and World Report, Time, Discover, Forbes, and People. Interviews with Dr. Grandin have been broadcast on National Public Radio. She has also authored over 300 articles in both scientific journals and livestock periodicals on animal handling, welfare, and facility design.